John Bernard Feit enters the 92nd state District Court before the verdict was read in his trial for the 1960 murder of Irene Garza on Thursday, Dec. 7, 2017, at the Hidalgo County Courthouse in Edinburg. Feit was found guilty of Garza's murder. 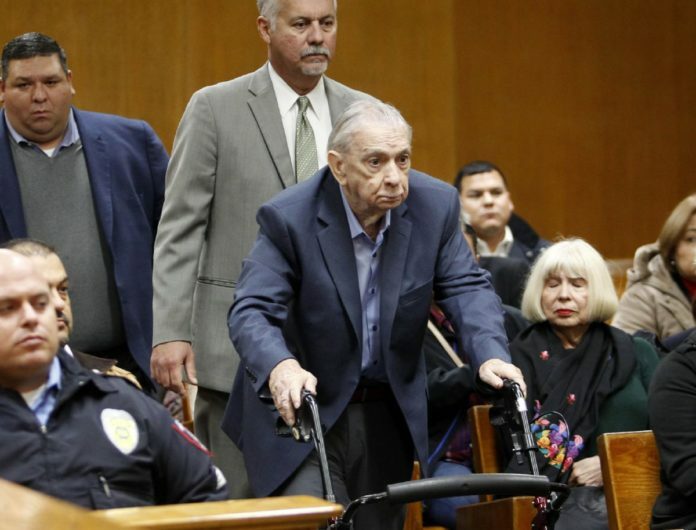 A jury found ex-priest John Feit guilty of the April 1960 murder of schoolteacher Irene Garza on Thursday night. Today, that same jury will determine the 85-year-old’s sentence, bringing an end to a cold case that has captivated the Valley for decades. Feit asked that the jury decide his punishment. The state is expected to ask the jury to sentence Feit to 57 years in prison, one year in prison for every year since Garza’s murder.